In collaboration with York Fashion Week 2019, The Antiques Centre York is joining forces with the wonderful charity, Sue Ryder. 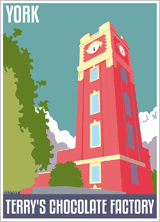 They are bringing together local independent businesses, to give you a fun filled day of vintage clothing, vintage jewellery, accessories and much more. 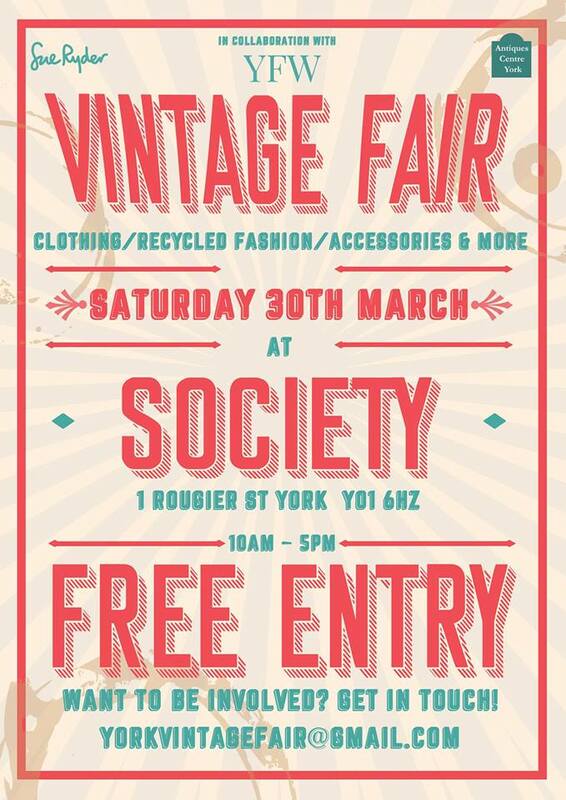 On Saturday 30th March 2019, we'll be setting up our stalls at Society, a venue which is in York's City Centre, just a stone’s throw away from York railway station. Doors will open to the public at 10am and will close at 5pm. So, if you're a lover of all things vintage, get the date in your diaries, grab yourself a strawberry daiquiri and come and shop until you drop! This is a free event but donations to the Sue Ryder charity will be most welcome.